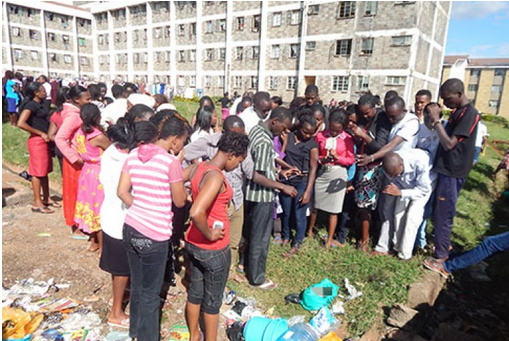 Third Year Student at Moi University Raped, Strangled, Body Left In a Ditch. A third year school of arts student at Moi University in Eldoret was found dead at the institution hostel's area, after she was raped and struggled to death. Angry students rioted shortly after the body was discovered, it took the local authorities to calm the students after they went on rampage. The police are said to be still investigating at a time when students may be losing confidence in the security at the university.